We all need to generate new business for our organisations. 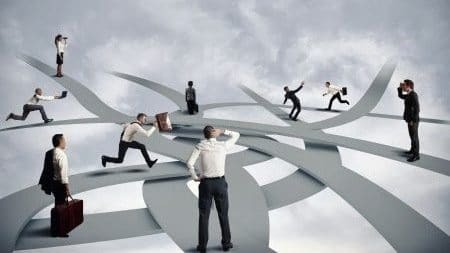 There are few businesses that can survive without new business development with a steady stream of fresh opportunities coming from their lead generation activity. But all too often, businesses fall at the first hurdle since they are fundamentally unable to define why a prospect should meet with them. Simply put, too many businesses operate in crowded marketplaces with commoditised propositions. There are lots of competitors offering the same thing. When clients come to see us, often, whilst it isn’t overtly suggested, we are seen as the messiah. They hope that we can magic some new business opportunities for them at little relative cost. Sadly, the reality is different. What’s in it for the prospect – And I don’t mean a simple list of services that you provide. I mean the benefits you really offer to overcome their inertia based on them using a competitor. Why should they meet with you now? – What’s the imperative? There are only so many factors that we can control when we run telemarketing campaigns for our clients. For example, we can ensure we make enough calls at a decent rate. We can ensure that a professional caller makes the calls. We also, as mentioned above, spend time with clients to define the proposition and scope the target audience. However, the reality is that if an organisation is unable to provide answers for these crucial factors, it’s unlikely that we, or whoever makes the calls, will be able to deliver effective outcomes. 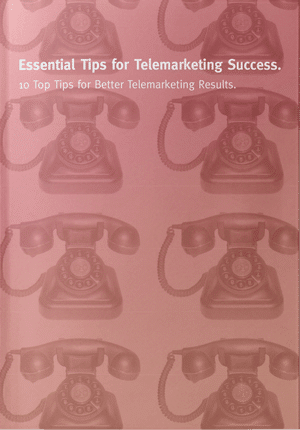 If you want successful outcomes from telemarketing, think about the customer. What do they need? How can you remove their pains? If, despite best efforts, you can’t come up with something to differentiate your proposition, you need to think about how to differentiate your call. Cold calling doesn’t always have to be simple calls to a new list. Below are some other options that involve, in some cases, a multi-pronged approach. They potentially give you reasons to call that are less bland and more interesting. The above are purely illustrative and are not exhaustive. The point is that too many companies just make bland, ill-targeted, ill thought-out calls in the hope that enough mud will stick. This kind of new business development approach is unlikely to work the more senior level the prospects and the larger the targets. Successful lead generation is not about pure cold calling. You need to think creatively. You also need to deploy more than one marketing method if you want to really increase your chances of either your prospect contacting you or them responding to you when you contact them. If you’d like to find out how GSA Business Development can help Generate Growth for your Business or book one of our new business development and marketing strategy workshops, contact us now on 0845 658 8192 or send us an . In order to become successful in business one has to understand the demographics of the target audience. Understanding the audience is not an easy thing. It includes a science – psychology in general. Thanks Eton. Yes 100% agree. For me, target audience always come first. Then data. Then proposition.